Written by nationally recognized insurance law practitioners and academics, Insurance Practices and Coverage in Liability Defense, Second Edition (formerly titled Defending the Insured) provides the first comprehensive and objective analysis of the various duties and potential pitfalls confronting each party in the three-way relationship between insurance carrier, insured, and the appointed counsel in insurance defense. Each chapter provides a detailed discussion of topics engendered by the duty to defend and the consequent obligations of each of the parties. Reference tables and appendices then survey the law in each state on those topics. The result is a book that provides both a national study and state-specific analysis, allowing practitioners, courts and researchers the ability to see the big picture as well as to focus on and compare how states actually deal with the particular issue. 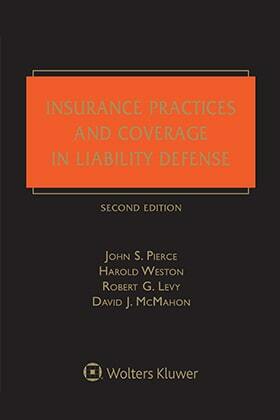 Insurance Practices and Coverage in Liability Defense, Second Edition is the book that combines practice and theory, that serves both the insurer and insured, the national practitioner and the local counsel, and informs courts where concurrence and divergence exist on the sometimes thorny, interrelated issues.